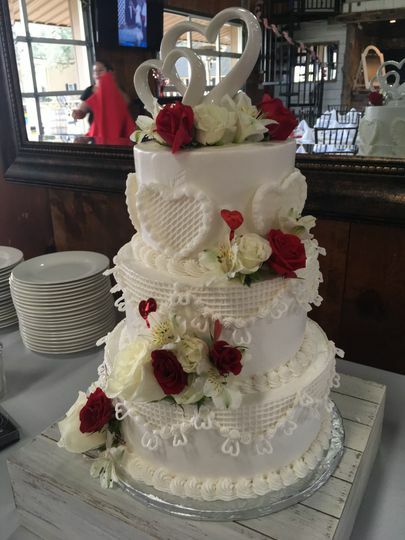 Based in Katy, Texas, Dolly's Sweet Sensations will design a beautiful wedding cake that tastes delicious too. 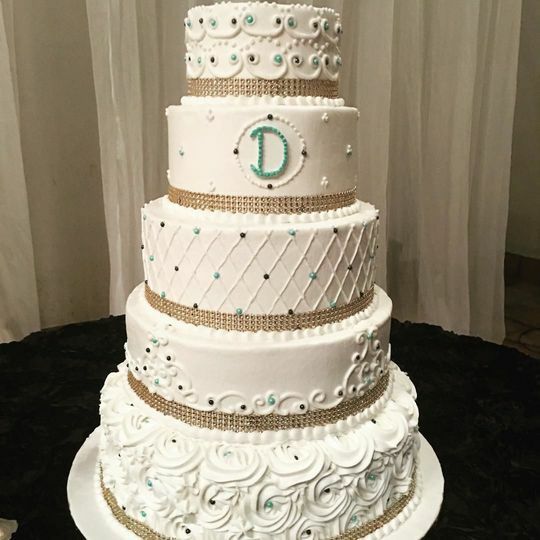 Dolly has a seamless and stress-free process when working with couples to create your cake. You can discuss everything from flavors to custom designs during a consultation and then you can sample the options during a private tasting. Dolly’s Sweet Sensations uses local ingredients in her treats and keeps in mind any dietary restrictions such as guests who are diabetic or gluten-free. 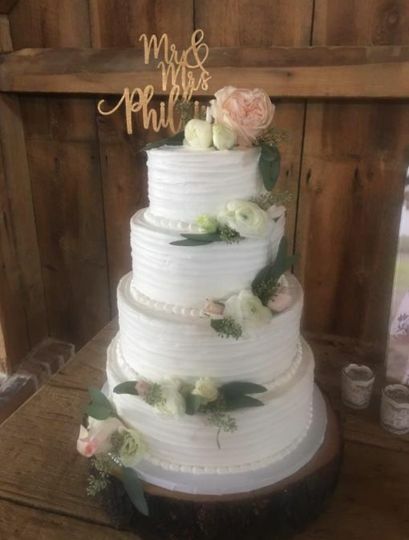 Once the cake is ready, she will deliver and set up at the wedding location and provide a cake stand and cake cutters, if necessary at a cost. 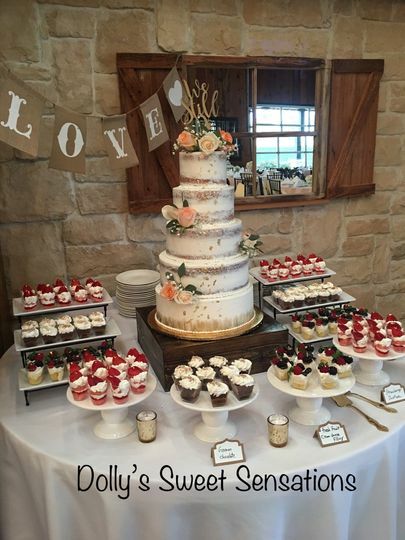 Dolly also makes other wedding desserts such as cake pops, cookies, cupcakes, and even custom groom’s cakes. Let me start out with WOW! 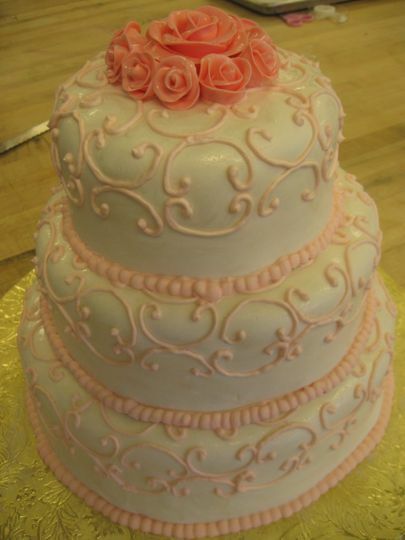 From the initial cake testing, we knew that we wanted Dolly to make our wedding cakes and we're so glad that she did! She is so sweet and undeniably talented! I can't tell you how many times I called/emailed/texted her to ask her for simple things or to change our order and she never once made me feel like I was annoying her, lol. 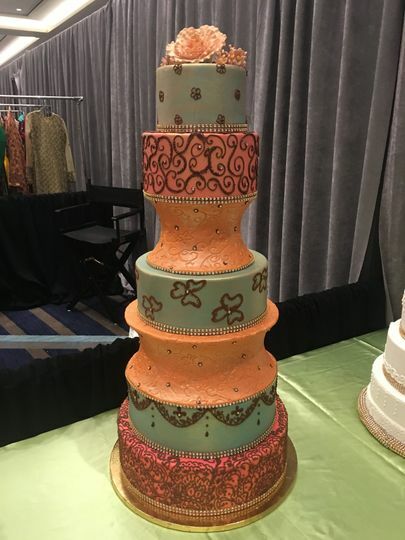 Not only were our cakes visibly beautiful but they were the most delicious cakes we've ever tasted! We are STILL getting compliments on our cakes. 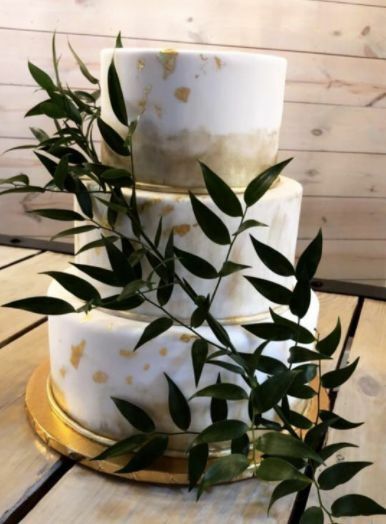 Even the leftover cake stayed moist and delicious for about a week after our wedding day. Thank you so much Dolly, I'm still dreaming of the butter-pecan with honey lavender filling cake! Thank you🙏🏻🙏🏻🙏🏻 So much Jessica! My job is not only to make you comfortable enough to have a proper line of communication but also deliver what I promise. Thank you for putting your faith in me. 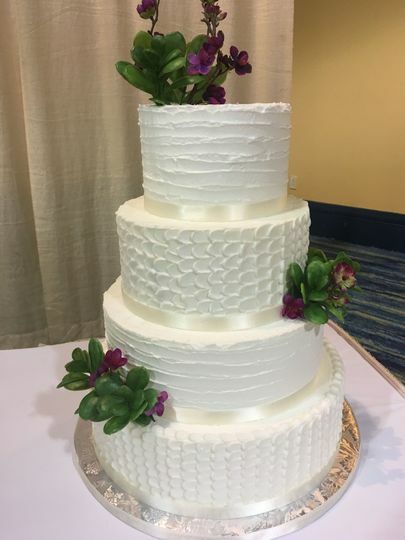 Dolly did our wedding cake and it was AMAZING! It looked just like I envisioned it to look like. She was so great to work with and very responsive. I HIGHLY recommend Dolly for any event! I really enjoyed making the cake for you. “The Vine” venue is beautiful! I loved the reception are! The services you provided was phenomenal!! From the first day I messaged you, you responded within minutes and were able to work with us with such short notice. 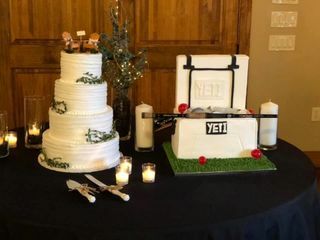 We loved working with you because you always made sure we were getting what we wanted for our special night. 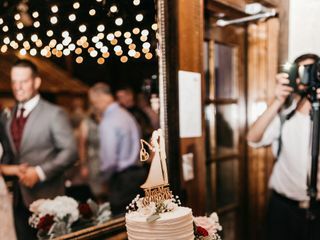 The day of the wedding was perfect you got there with more than enough time to spare which gave us one less thing to worry about and the setup was PERFECT! 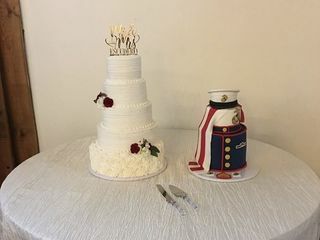 Both of our cakes were beautiful and best of all DELICIOUS! 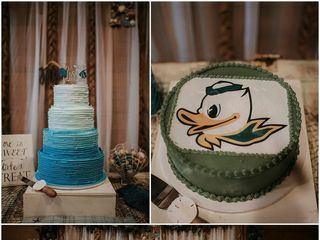 We had so many people asking about you and a month later they still talk about how they loved our cake and want more of it:) You were an angel sent from God! 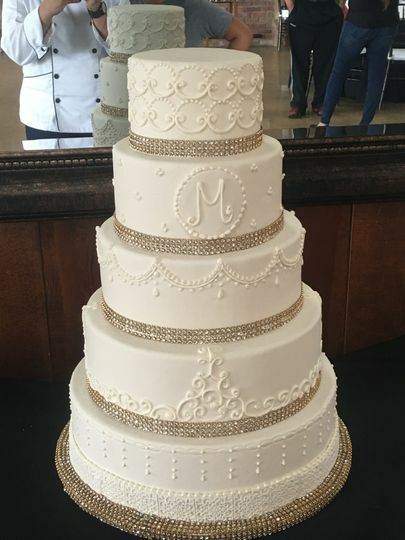 Thank you for blessing our special day with your delicious and beautiful cakes! I’m glad I could assist you with your sweet tooth needs.